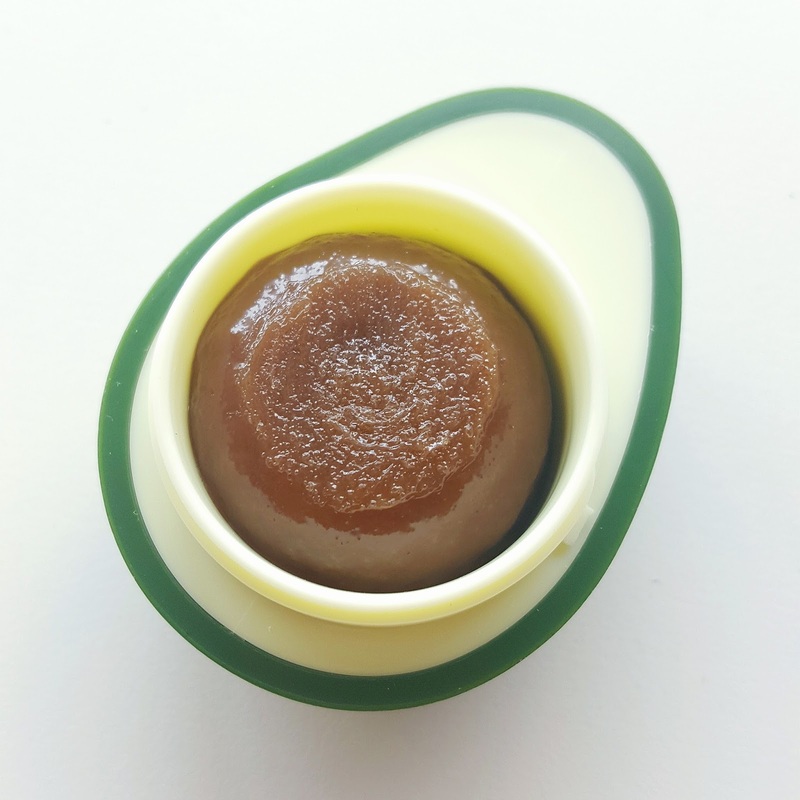 Hi guys, today I'll be sharing my review of Skinfood's Avocado Sugar Lip Scrub. This product is a sugar type lip scrub similar to the Skinfood Black Sugar Scrub (this being specifically for the lips). I have very dry and chapped lips, and although I try to drink as much water as I can, they still always end up chapped. I usually peel off the dead skin with my hands or my teeth, and it always leaves my lips red and bleeding. I heard about Jeffree Star's velour lip scrub and I was thinking of getting it last year. As I was about to get it, I found out Skinfood had their own lip scrub! 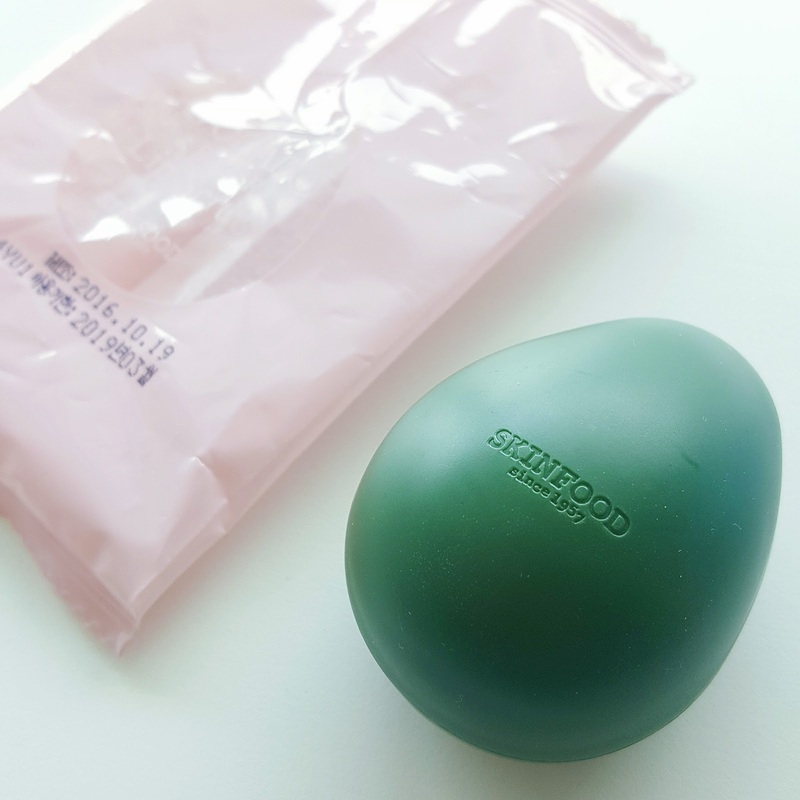 I decided to settle with the Skinfood one because a) Its not shipping from the US aka no heavy shipping fee; and b.) It costs way cheaper! 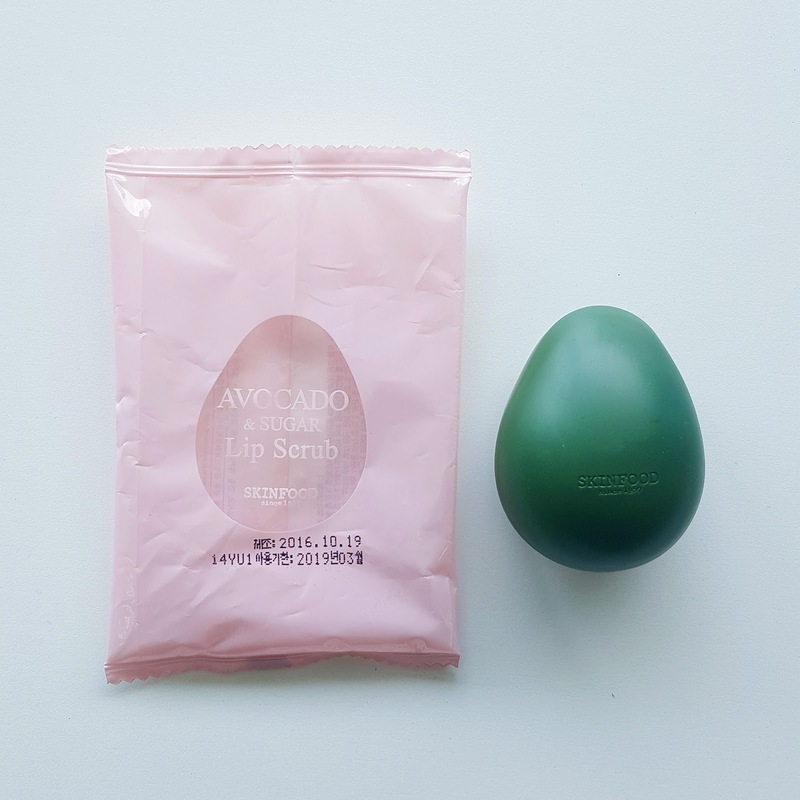 The description for this product says that its an avocado and sugar scrub for soft and sweet lips. I got mine as part of Althea's Superfood Box (which came with 8 products and costed RM138.). It's currently not available for sale by itself on Althea, but you can get it by itself from Hermo for only RM25.90. 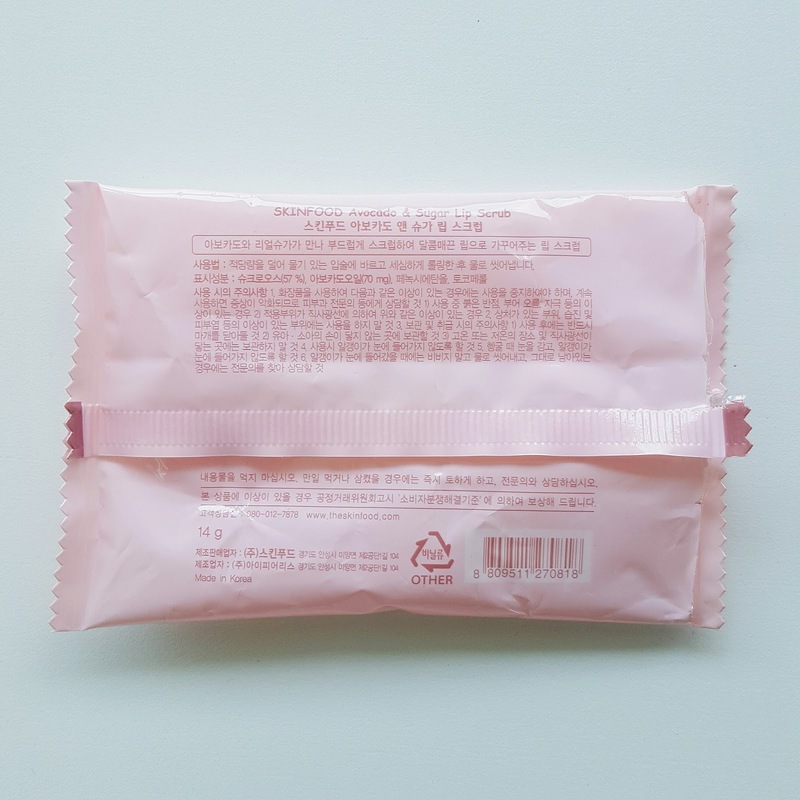 It doesn't come in any fancy packaging, just a pink plastic. Once unwrapped you have the product. Simply twist it open and tadah! 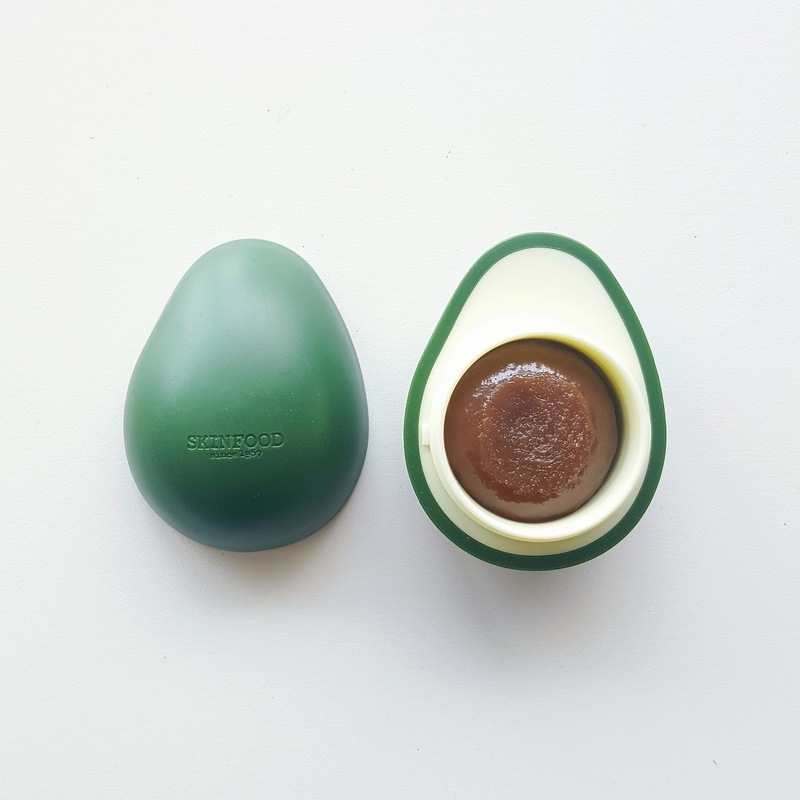 At first I thought the "seed" of the avocado will looo like the EOS lip balm, but as you can see, you can't put it directly on your lips. You have to slightly dig for the product. 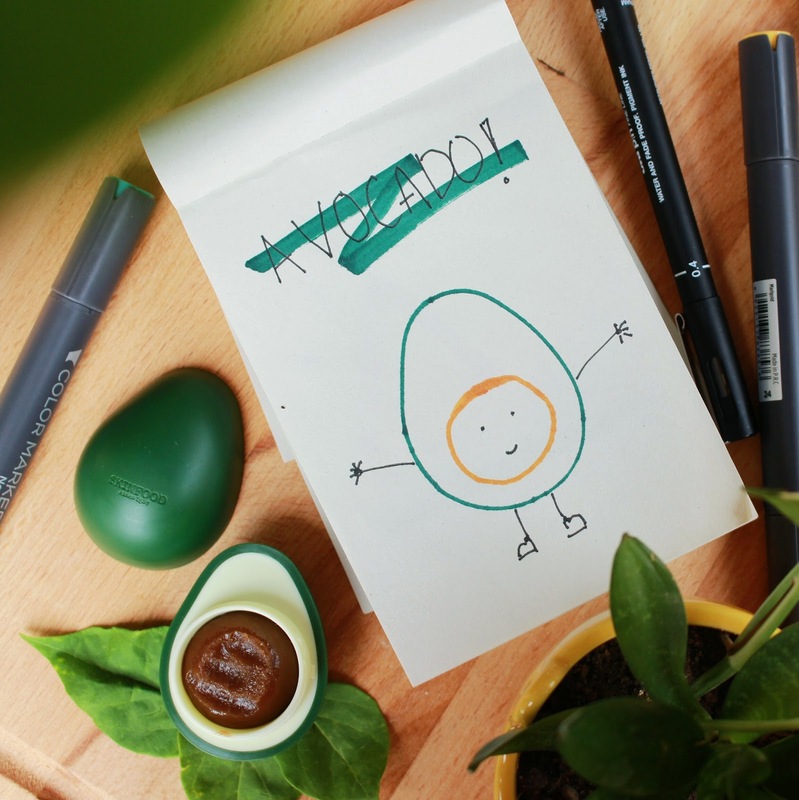 This product's main ingredients are avocados and sugar. 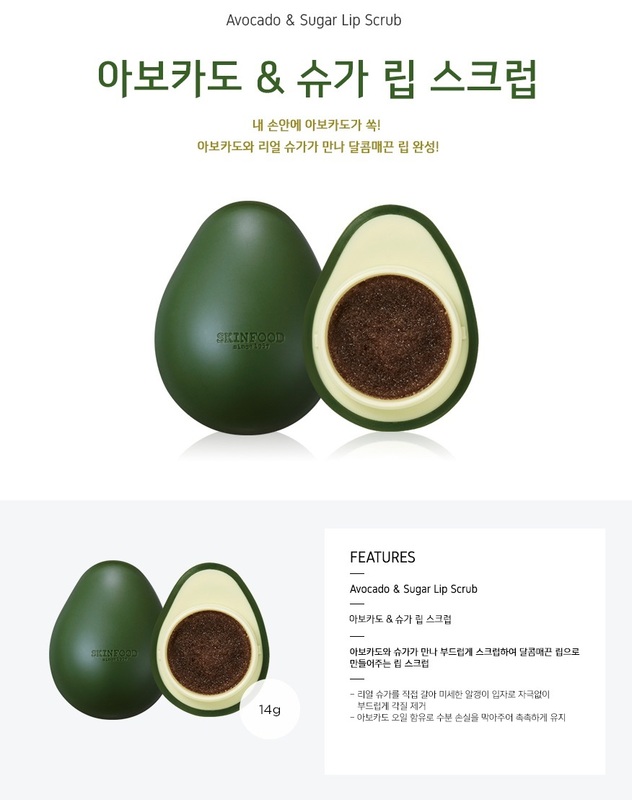 I'm not sure what the avocado's main attributes are, but I searched it up and apparently avocados are often mixed with exfoliants (in this case sugar) to get smooth skin/hands/etc. It can help get rid of dead skin cells, so you lip looks nicer/smoother and your lip products apply better. 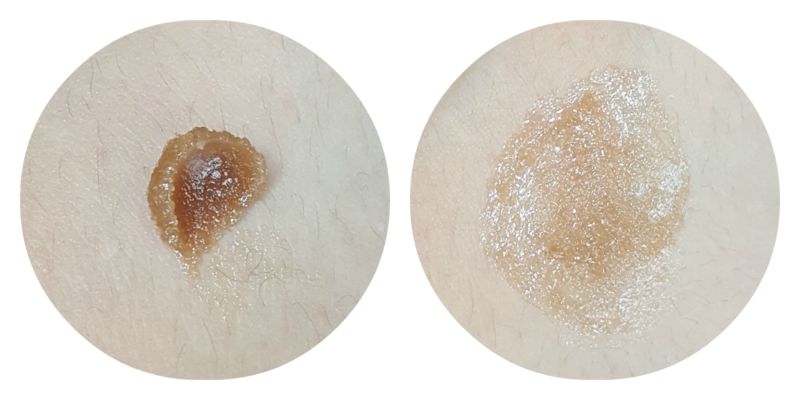 This product is brown in colour and has smaller grains/sugars than Skinfood's Black Sugar Scrub, and it has a faint sweet smell. It's pretty straight forward, just scoop a bit out with your fingers and rub it all around your lips. I lip bringing this into the shower with me so I don't forget to use it. 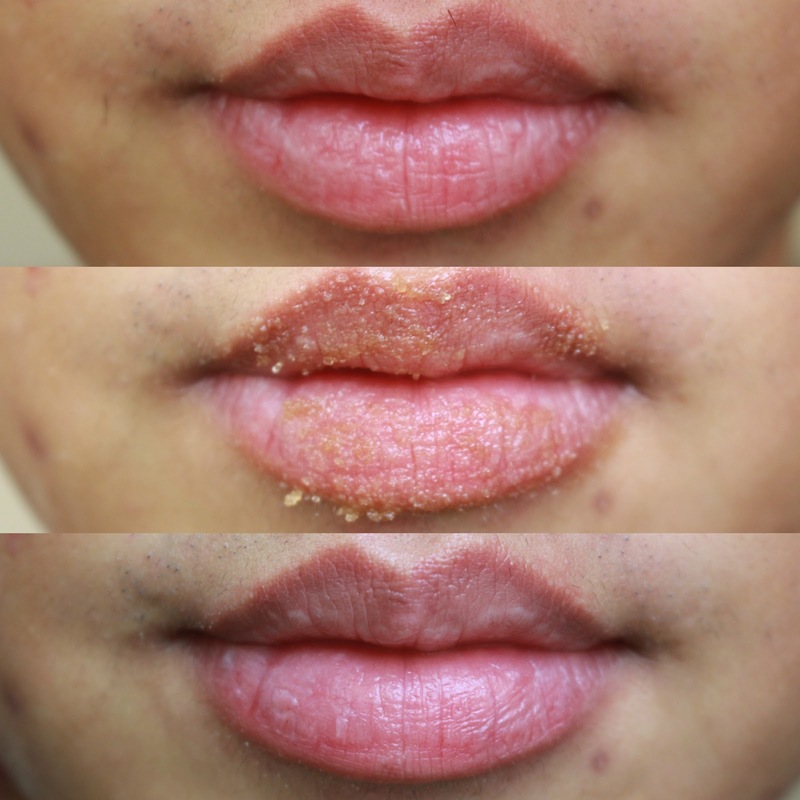 As someone with super dry lips, I tend to have lots of dead skin peeling off on my lips. I don't really think this helps get rid of those entirely. 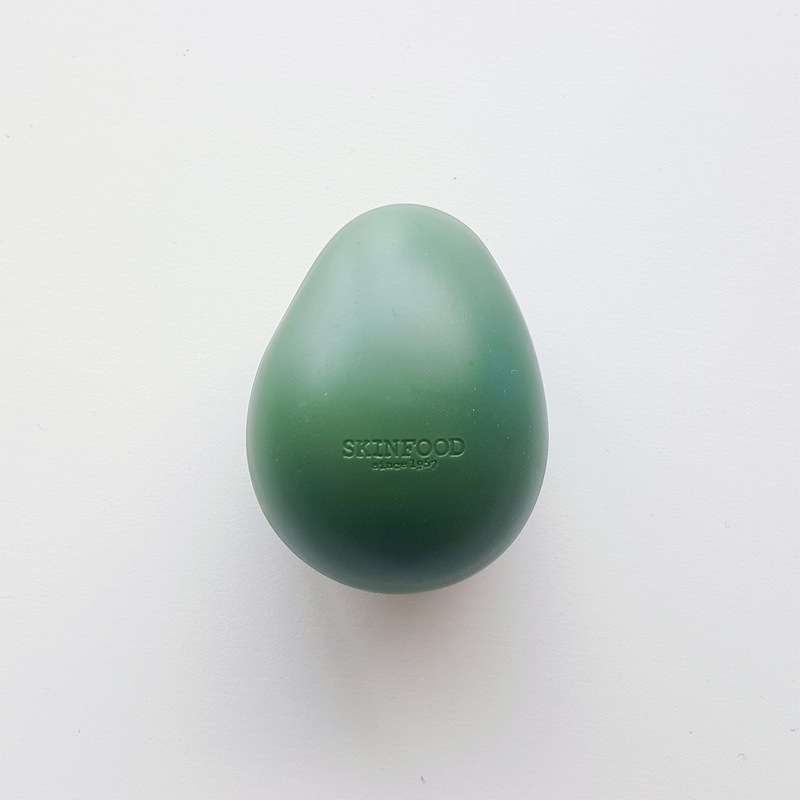 It does slightly exfoliate the lips (and makes it relly soft and smooth), but when I have a lot of extra skin it can't really fully get rid of them. As you can see from the 3rd picture, there isn't really much of a dramatic visible result. And that was it for this short review! Hope it was helpful and interesting to you guys. 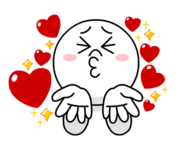 Till the next post!